Draught proofing your casement windows is a really effective way of making your home feel warmer and quieter. It’s also one of the simplest, most cost-effective and energy efficient changes you can make to your home, and is perfectly suited to buildings with Grade I and II listing, as draught proofing systems are discreetly housed within the window frame. 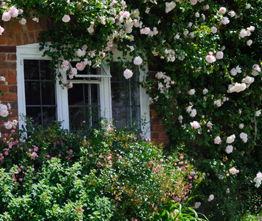 A typical casement window allows warm air to leak out from your room in a similar way to water leaking from a hose. This means you’re paying to heat air that’s constant escaping from your home – something that’s both expensive and inefficient. Warmer rooms and reduced heating bills. Increased energy efficiency and a reduction in your carbon footprint. A significant reduction in outside noise levels. Less rattling of windows during those blustery autumn and winter winds. Poor insulation can result in your home losing heat, and you losing money. By draught proofing your existing sash windows, we can vastly improve the thermal efficiency of your home, whilst cutting your bills and making everything a bit warmer and quieter too. Our draught proofing offer a quick return on investment and is more cost-effective than double glazing, saving you money year after year. What’s more, you’ll be charged a lower rate of 5% VAT when we carry out energy-saving work on your home – whether that’s draught proofing or insulation. And if your house is new, you pay no VAT at all. Find out more about saving energy (and money) at the Energy Saving Trust.